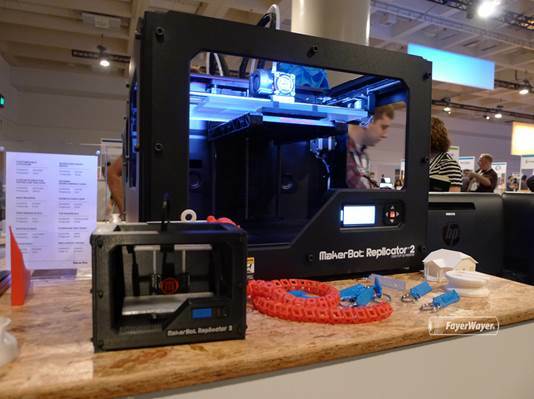 Of all of the technologies that have emerged over the last couple of decades, one of the coolest and most useful would have to be 3D manufacturing. Also known as 3D Printing, this new way of creating three dimensional objects has taken many industries by storm. It’s become a cost effective way of producing 3D models in any manufacturing plant, office or bedroom. Now anyone with a 3D printer and access to the internet can find models of objects that have been designed in 3D modeling or CAD software and ‘print’ it. Everything from toys to human organs can be created and without much effort. 3D manufacturing is done by adding layer upon layer of material until a 3D physical object is created. The material used can be anything from plastic to metal and it’s believed that eventually human tissue will also become a material that can be used in medical implants. In fact, applications of 3D manufacturing are endless. Vehicle parts, fashion accessories and even full sized homes can all be made using this process. There are several advantages and disadvantages to 3D manufacturing, however with continued research and development, the technology will no doubt continue to improve. For example, while there are several types of materials that can be used in 3D manufacturing, some of better than others. Plastic is one of the most common materials used for 3D Manufacturing. It’s a robust material that is resistant to corrosion and chemicals, low electrical and thermal conductivity, as well as having a high strength to weight ratio. This means that plastic is an optimal choice for a material to be used in 3D manufacturing. The problem with plastic however is that it is a byproduct of fossil fuels which means that it’s a finite material. Many experts agree that if 3D manufacturing is to become a widely used process for building and creating, advancements in creating a simple way to sustain the materials used in the process will also need to advance. Being that plastic is one such material, the ability to miniaturize recycling could be the boon that 3d Manufacturing needs to replace many types of building processes altogether. Most industries that currently rely on customized parts will benefit, largely due to the decreased cost and accessibility of being able to create what they need when they need it. For example, if a new kidney is needed for a patient, it can be ordered by the surgeon and ‘printed’ at a lab within the same hospital and inserted into a patient much sooner than it may have taken to find a compatible donor. Or perhaps your car breaks down and you take it to your mechanic who informs you that you will need a new O.E.M. part which typically needs to be ordered. The mechanic would be able to manufacture the part and install it while you wait in the waiting room. The speed at which we would be able to produce things that we need would be revolutionized. 3D manufacturing and printing has the potential to redefine how we produce many of the goods we use and rely on. It is a new area and industry that will require talented people to continue to develop and improve the technology and there will be a demand for well educated students that specialize as electronics technicians and PLC programmers. There are Online Technology Courses that offer certificates of completion which allow people to learn the skills that will be needed to advance this interesting area of tech. 3D printing has the potential to be a game-changer for our society, whether through the standardization of part prices based on the cost of the material used to increasing the speed and accessibility of any type of part needed. It has the ability to reduce waste that is common with current manufacturing processes and may even open up new processes for creating, making and invention of new products that previously did not exist.